Brian and I have incorporated coconut milk into our weekly diet, as it is high in healthy sources of fat: saturated fatty acids in the form of medium-chain triglycerides (MCT’s) (Brian’s video in this post talks about healthy fats and their importance). MCT’s are particularly beneficial because it’s a type of fat that gets digested directly by the liver, producing ketones which are easily burned as fuel. You’ll notice for bulletproof coffee and other recipes, MCT’s are incorporated as a way to increase energy and cognitive function (More on MCT's to come later). Typically, we will have coconut milk in our smoothies or add some to our coffee or tea in the morning! We often use coconut milk as a dairy milk replacement, because we've concluded (via Whole30 and personal experimentation) that it does work better for our bodies and it provides the extra healthy fats we need in our diet. Now, in the Paleo-world, dairy consumption is definitely a grey area, as its beneficial qualities very much depend on how an individual reacts to dairy products. The ultimate determining factor is if dairy causes inflammation in your body, which would be noted by a sour stomach or poor digestion reaction after consumption. When buying coconut milk, we wanted to point out a couple things, as there is (of course) a more preferable coconut milk to buy based on how it’s manufactured. 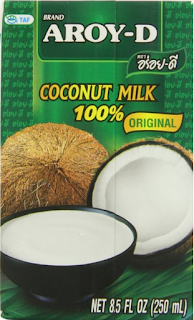 Ultimately, when buying coconut milk you need to watch out for a couple things: Bisphenol-A (BPA), guar gum and additives in boxed coconut milk. BPA is a chemical that has been used in consumer goods since the 50s and is often put in the lining of certain canned foods. BPA has been linked to neurobehavioral problems and is thus better to avoid if at all possible. Guar gum has been linked to increasing digestive problems for some people. Although there are not definitive studies that show guar gum is particularly harmful, we try to avoid it in effort to promote better gut health. We also don’t buy the boxed coconut milk on store shelves because it always has a significant more amount of additives and preservatives that we like to avoid. Chris Kresser writes more on this topic here if you’re interested in learning more. 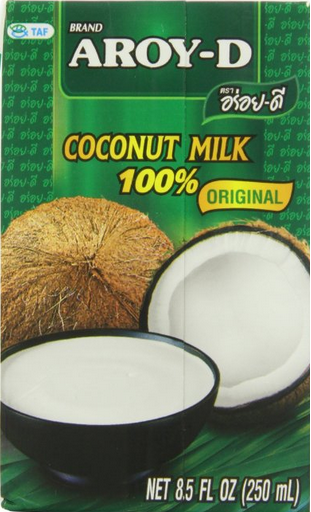 The coconut milk brand we recommend is Aroy-D. It does not contain BPA or additives of any kind. It's pure 100% coconut milk. You can get this product via Amazon. Another good choice is Native Forest, although this organic canned coconut milk doesn't contain BPA, it does contain guar gum. It’s sold at most local Whole Foods stores. You can also make your own coconut milk with a good blender and coconut flakes! We loved our homemade almond milk so much that we hope to have a recipe for homemade coconut milk coming soon!